Balsam in Kilkenny City gets a bash! The non-native invasive species is to be found on the river Nore close to Kilkenny City. The plant due to its large size, it can smother native plant species reducing biodiversity and needs to be kept under control.The plant is an annual and it is important to remove new season growth prior to seeding. 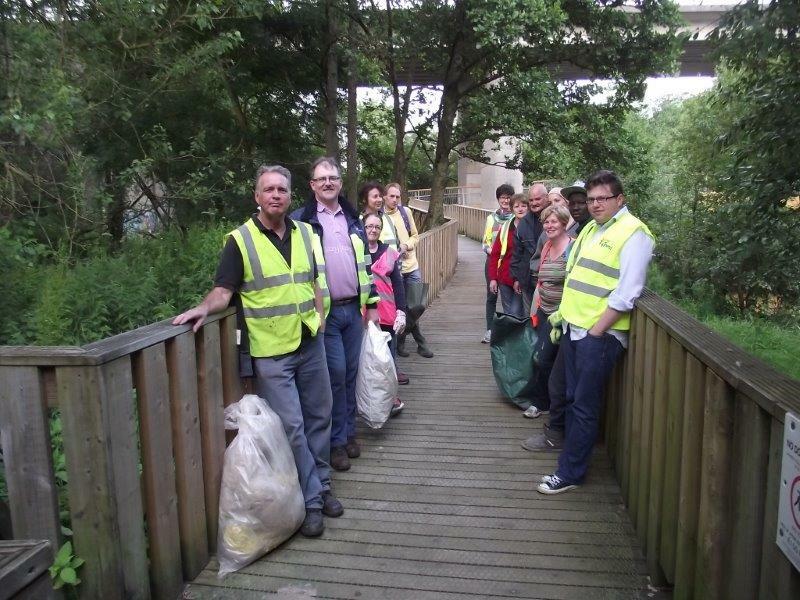 Keep Kilkenny Beautiful Environmental Subcommittee undertook a pilot balsam removal project on the river Breagagh in 2015. This was found to be quite successful with only limited new plant growth in the areas cleared in 2015. 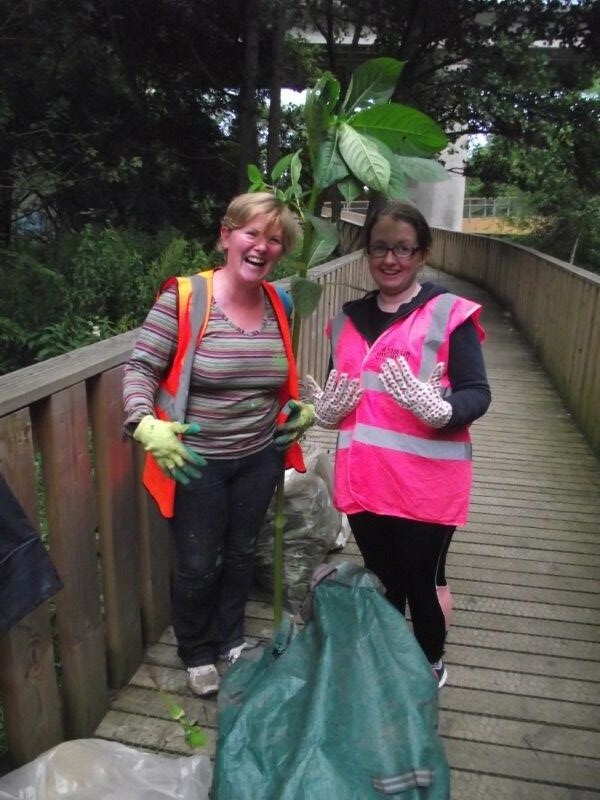 In 2016 Keep Kilkenny Beautiful has proceeded with a much larger Balsam removal project. This commenced in May 2016 with removal of any new plants in the section of the river between Ossory Bridge and the Boardwalk area.In addition, clearance is also being undertaken in the river Breagagh. The work is being done section by section by hard-working volunteers without the use of chemicals. The plants are being pulled by the root and are being composted. Repeat visits are being made during the course of the summer to remove any additional balsam growth and to prevent flowering. The results of this larger pilot project will be reviewed again in detail in 2017 to assess the success of the work and to see if any adjustments to the work procedure be considered. KKB are also thankful of the assistance and cooperation being received from Kilkenny Angler’s and Kilkenny County Council. KKB welcomes new volunteers to assist . See our Contacts page, also see also our Events page. Regina Byrne Hon Secretary KKB and Bernadette Moloney Environmental awareness Officer with a large balsam plant on the board walk. This entry was posted in Biodiversity, Kilkenny City, Sustainability and tagged balsam, breagagh, Himalayan balsam, Himalayan balsam Impatiens glandulifera, Impatiens glandulifera, Invasive, nore, plants, removal by KKB. Bookmark the permalink.